Mercer Island swimmer Alex Edwards is a dominant force in the water. Typically the majority of sophomores in high school usually aren’t making an impact at the varsity level with most high school athletic programs. 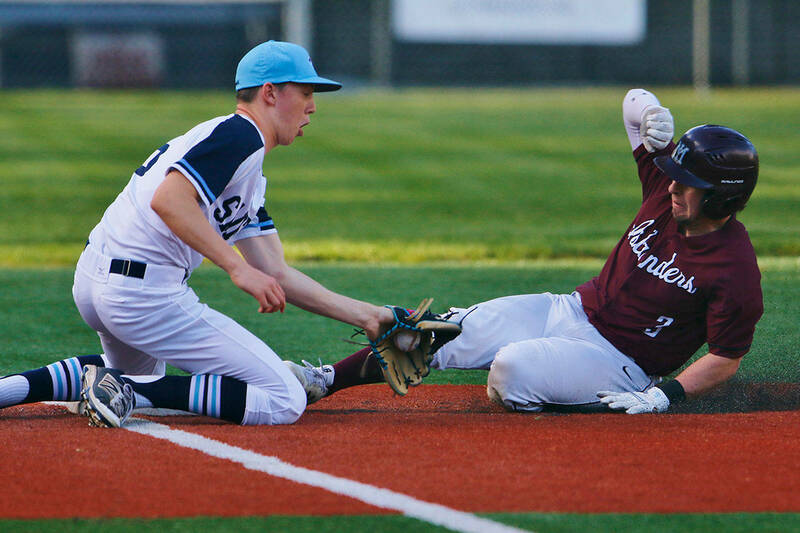 Mercer Island sophomore Alex Edwards is definitely bucking that trend with authority. Edwards attained a multitude of dominant performances during the 2018-19 season thus far. Edwards has clocked Class 3A state-qualifying times in the 200 individual medley, 500 freestyle, 100 backstroke, 100 butterfly, 100 breaststroke, 100 freestyle, 50 freestyle and 200 freestyle events. Edwards said he will focus on the 500 free and 200 IM during postseason action this February. “I’m hoping to qualify for the finals in the 500 free and 200 IM. I have a good chance of winning those events (at the state meet),” Edwards said. While Edwards is thriving in his individual events, the sophomore sensation is the epitome of a team player in the pool. Edwards, who began swimming as a 3-year-old, relishes his role on the team as someone who can compete proficiently in myriad events. Edwards is a very much like a decathlete (track and field) in the pool. “When I started swimming, my coaches saw that I wasn’t particularly great in one event so they trained me in everything. I’m not the best at many particular events, but I’m really solid in all of them,” he said. Edwards is a huge fan of Mercer Island head swim coach Evan Moline and assistant coach Matt Hanson. “They are super involved and know exactly what we need at all times. We are always going through tough morning practices and afternoon practices to make sure we are at the right level to compete for a state championship,” Edwards said. Recently the Mercer Island Reporter had an opportunity to ask Edwards some questions about his life away from the swimming pool. Alex Edwards: “The Hurt Locker.” It is a really cool military movie. AE: I would say between six to eight. We (high school students) rely heavily on SnapChat. AE: It would have to be Alaska. I like to go fishing, hunting and camping with my dad a lot.